O. E. Ruck - Genealogist, Gentleman and distinguished officer in his Majesty's service, now living in Wales. Mr. William Evans, genealogist of Cumberland County, Virginia. From Raleigh Travers Green's booklet taken from Dr. Slaughters Notes on Culpeper County, Virginia. From "Welsh Families and Antiquities" and from old letters owned by descendants in the Yancey Family. Arms furnished by William Shepard. From Cadwgan, second son of the founder of the tribe, descendant of Nanney of Yorke. Founder was Bleddyn ap Cynfyn, Prince of Powers from whom the third Royal tribe of Wales was descended. Howel Selyf or Sele, possessor of Nannau in the time of Owain Glydwer, was ninth from Bleddyn ap Cynfyn. His grandfather Ynyr Tychan Jr., son of Ynyr ap Meurig in the Thirty third regiment of Edward 1st presented a petition to the Prince of Wales, stating that the king had made him William Rhaglor of the Comen of Tlybont for his services in taking Modic ap Llywelyn, who in the last war had made himself Prince of Wales. Petition not granted as Ynyr could show no Charter to the Office. When Dwyn (Dwnn) visited Nannau, in 1588, he was head of the family and signed the pedigree. His grandson, head of the family was Hugh Nanney, Esq. Sherrif of the county in 1627 and 1638. 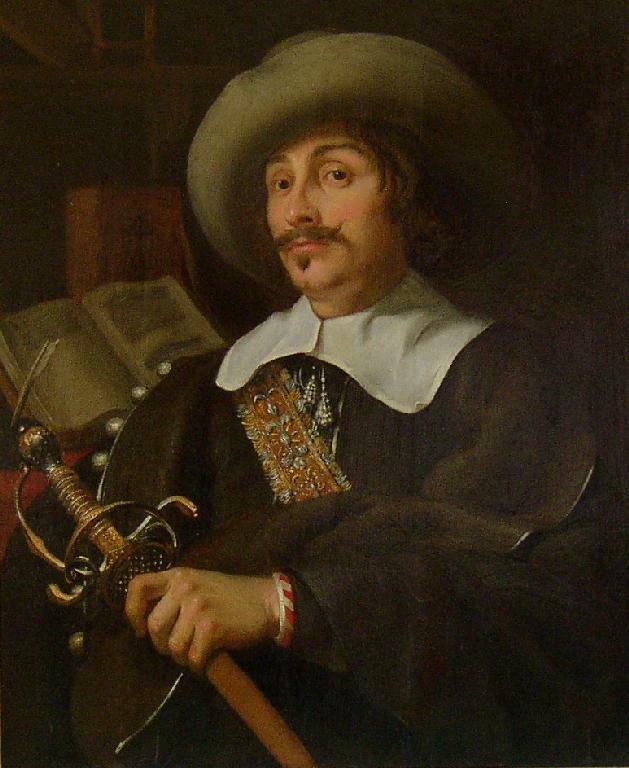 Died 1647. Grandson of Col. Hugh Nanney, M. P. Col. of Militia of his County and Vice admiral of North Wales in the last year of William III. (Mon. in Llanfachreth Ch.) was last of the line of Nanney. Married Catherine, daughter of William Vaughn Esq. celebrated antiquary of Hangwrt. Catherine's oldest son Hugh Vaughn succeeded to the Nanney estates but died unmarried. His next brother, Robert Howel Vaughn of Nanney and Hongwrt was in 1792 Baronet and his son Sir Robert Vaughan, Bart M. P. of Nannau, succeeded him. Was 44 years in parliament. Also father of Griffith ap Howell Vaughn Esq. of Rhug and Hongwrt and Col. Edward William Vaughn who inherited the Rhung estates and assumed by license the additional surname of Salesbury and died in 1807. Sir Robert William Vaughn Esq. 3rd Baronet of Nannau (d.s.p.) [ d.s.p - means died with out children] died in 1859 and the title became extinct and the estates were divided. Nannau was left to Hon. Thomas Pryce Lloud for life and then to John Vaughn Esq. Hongwrt was given to his wife's three sisters for life, and the great collection of Hongwrt manuscripts to a kinsman, W. L. Wyne Esq. of Peniarth, Rhug Estates to H. C. H. Wynn. second son of Lord Newborough. Maesypandy in the parish of Talyllyn now reduced to a farmstead, was for many ages the seat of a family of note. Llwyn Hughes Esq. Sherriff of the county of Merioneth, 1582. Lewyn Dwnn paid ten shillings to the deputy Herald for making out the pedigree. They traced their lineage from Einion Sais, said to have been a descendant of Carodec Fraichfras, and bore arms ascribed to that Knight. Heiress of the Hughes family married Lewis Nanney Esq. grandson by a younger son of Hugh Nanney Esq. of Nannau Sherriff of Merioneth 1634. She married the second time John Lloyd of Ceiswyn, Sheriff of Merioneth 1652 and 1667. The Maespandy Estates passed into that of Wynn of Maesyneuadd Talsernau, through the marriage of William Wynn Esq. to Lowry, eldest sister of John Nanney Esq. The oldest son William Wynn Esq. Sheriff of Merioneth 1758, assumed the surname of Nanney. 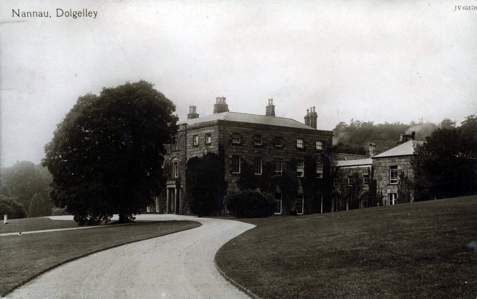 He died 1795, and the grandson John Nanney in 1838 became owner of Maesyneaudd and Maesypandy. The last of the he died in 1868. Nanneys of Nannau bore Arms, or a lion rampant as for Nanney on the first and fourth quarters, and second and third quarterly, ermine on a saltire, gu.a crescent or, for Wynn. Mrs. Nanney of Bronwylfa, St Asalph, Flintshire. Lucy Victoria, widow of John Nanney Esq. J.P. son of the late Rev. John Nanney M.A. of Maesyneaudd, County of Merioneth (who adopted the surname of Nanney in the room of his own, Wynn) by Anne Fleming, daughter of John Fisher Esq. of Chetwynd Lodge, Shropshire; third daughter of the late Rev. Edmund Williams, Esq. M.A. J.P. of Pentre-Mawr in the county of Denbigh. She married Mr. Nanney, who died 1868, Dec 27 1859. Residence , Bronwylfa, St Alpha. Sir William Berkeley who lived in Cariganshire, Wales, and was a descendant of a Welsh Family was evidently in touch with the Nanney brothers of Merionethshire, the adjacent county, and they came with him to Virginia. Sir William Berkley was a connection of the Nanneys through his ancestor Bleddyn Cynfyn of the third Royal Tribe of Wales. One line of the Nanneys descended from Caradoc Fraichfras, a Knight of the Mystical Round Table. "Vron Goch, just north of Bala, Merioneth, was the home of the Nanney brothers, who emigrated America in or about 1640. I send you a little map in which Vron Goch is marked, in the valley of the River Dee, which arises in Bala Lake. At Vron Goch were many Nanney clans. My theory is that the Nanney brothers of Vron Goch, four or five, emigrated to America about 1640 and did not leave their new address. Gradually becoming known, perhaps at first as Yanney or Nancey, and finally Yancey, for people were not particular as to spelling names in those days. The attributes of pure Welsh blood are dark vivacious, quick witted and benevolent, full of family pride and affection. And all the rest is wind. On a gold shield, a lion in blue facing to the left, rampant, no motto or crest, showing evidence of great age. Being used by a Welsh chief in battle for the identification of himself and his followers. Mottoes were taken arbitrarily by families and the lack of one means nothing. A member of the Shepard family, Miss Annie Shepart, living in Buckingham Co., Virginia, age 98, inherited from her mother, whose maiden name was Yancey, the Nanney arms. The letter was written by Samuel Shepard to his brother Robert Shepard Dec 10th 1805. Published in Tenn & Va periodicals. His wife was a Yancey - a cousin of Charles Yancey. Note: This is the same arms owned by Miss Annie Shepard , my cousin. Samuel Shepard was my great great grandfather. Charles Yancey, Major, called the Duke of Buckingham, writes to his cousin, Mrs. Samuel Shepard in a letter without date, but from its contents, undoubtedly written about 1826. I hear your brother is sick, have you heard from him? The Yanceys down that way have quite forsaken me . . . <speaks of sale of slave etc. > Come over soon with your whole family - I expect everyone at Christmas. We have newly replenished our cellars and larders - so tell Sam to come empty. When did Sam hear from his brother E. Thomas in Tenn? since Mr. Cabell seeks the Office of Register of the Land Office, which is contemplated to be established in what is called the Platte Country in Missouri. I think I can say he is a man of integrity, which is hazarding much in these days of great moral depravity, you know the Cabell family and I presume the Bella**, his sister to Powhatan and Sen* and he married a daughter of Joseph J. Monroe. You now have his heraldry and I rate people very much by their stock, as I do blooded horses. He is honest, moral, sober and of business habits. If you cannot do better take him etc. "It seems that the information now in hand is well documented enough to accept. Notice that all the clues came independently, first: the arms, then the letter telling the name of the family they belonged to, then quite independently the information and confirmation from Col. O. E. Ruck, genealogist, whose name by the way illustrates his theory very well, as it was written: Ruck, Rock, Rocke, de reerke - all the same family." The records of the Yancey Family in Buckingham County were burned. Yancey - Capt. Culpeper Militia, Aud Acct 1779-1780 199. Yancey - Absalom, B. W.
Yancey - Chas. Commander Louisa Militia, Aud Acct viii 76. Yancey - John Capt. B. W.
Yancey - John B. W.
Yancey - Lewis Davis B. W.
Yancey - Ludwell B. W.
Yancey - Jacob H 10. Yancey, Thornton Col. Member of the Assembly from 1778-1792. In Provincial Congress 1776. major and then Col. in Revolution. (Lewis, Phillip and Thornton - all sons of James Yancey Capt. 6. Lewis Yancey (4th Gen) (Son of Capt James) married Mary Graves. Died 1817. 2. Edward married . . .
1. Lula married . . .
2. Edwina married . . .
John Green Yancey, born 1814, in Granville County raised in Warren Co., at the age of twenty two was a banker in Warrenton, NC. On the 6th of July 1858, Horace Greeley, Editor of the New York tribune, was married to Miss Mary C. Cheney in the Episcopal Church in Warrenton. At the time the laws of N.C. required a marriage bond of a non resident. As a Mr. Greeley lived in New York, he had to execute such a bond. This bond was signed by John Green Yancey. A Charles Yancey died in Virginia 1690. I believe this Charles yancey was the son of Charles, one of the original brothers, who came to America in 1690. So I will call him the second generation in America, and begin this line with Charles Yancey who died 1690. (2nd Gen). Charles Yancey - - - 2nd Gen.
His children were: (3rd Gen). Their children were 5th Gen.
now living in Raleigh, N.C.
1. Mildred Ann married James Malone (6th Gen). 2. Betsy (Elizabeth P.) 1770 married Nathaniel Slade 1761. 5. Nancy married isaac Johnston (5th Gen.
Their children were: 8th Gen.
From biographical of North Carolina "Ashe". the following facts in regard to the life of Bartlett Yancey Jr. were furnished by his daughter the later Mrs. Thos. J. Womack to Dr.. Stephen B. Weeks. A Charles Yancey died in 1690 in Virginia. I believe this Charles Yancey was one of the original four brothers, who came to America in 1640, or a son of the original Charles Yancey, according to Virginia Wills. I hope to have some Virginia, Thornton History. Thomas Bartlett came to Virginia, prior to 1637. Charles Bartlett was Capt. of a ship on the James River in 1705. Samuel Bartlett was born in Bristol parish 1734. One of Richard Yancey's descendants Julia Yancey married H. C. Roberson. John W. Dubose, in his life of William L. Yancey mention the four brothers as: Charles, William, Joel and Robert. They came to Virginia in 1640. Philemon Kavanaugh, grandfather of Margaret Kavanaugh. Lewis Davis Yancey married Winifred Kavanaugh, will date. Major Charles Yancey, Rev. Robert Yancey and Jechonias Yancey of NC were first cousins. King James I King of England, Stuart Line. First wife, or her mother was named Bartlett. If we can find some Bartlett History that comes through this Stuart Line, I have all Stuart history, back to the year 1. through Robert Bruce, King of Scotland and an Irish line, to a King in the year 1. Also through Margaret wife of Robert Bruce, to Alfred the Great, and back to Saxon Earls. I have the complete Stuart line from the beginning and hope we might connect with it if we can find a Bartlett Line. I have recently done this work in connection with a Patrick Stuart Line, who came to this country 1732 and is an ancestor of my husbands. Of course the Bartlett name, so strong in the Yancey family gives us every reason to believe we have a line back of James Yancey - possibly his mother. I believe his wife was Ann or Anna Thornton, a direct descendant has a Thornton will. My old Aunt remembered Thornton cousin in Rockingham Co. It is my understanding that the family of "Yancey" in the United States sprang from four brothers who immigrated from Wales with Governor Berkeley. They settled and became planters on the James River. Charles Yancey, known as "Charles of Buckingham", and noted character in Virginia, was the son of one of them. Joel Yancey, my grandfather, was the son of one of them. I cannot give the places where they settled certainly, but one of them settled in Campbell and another in Albemarle County. Robert Emmett Rodes was the son of General R. E. Rhodes of Lynchburg, Virginia. I have forgotten the christian name of his father who married Martha Yancey, daughter of Joel Yancey, and sister of Robert J Yancey, my father. By that marriage General Rodes had several children, Virginius H Rodes the eldest for many years engaged in business in New Orleans and who died at Pelusha plantation in Mississippi in 1879 educated Robert, maintaining him in the school, also educated his two children, Sallie who intermarried with _____ Nelson, and now lives at Staunton, Virginia. My brother Joel Yancey was a captain in White's regiment of Parson's brigade CSA and was killed on the third day of June, 1863, during the seige at Vicksburg, while resisting an assault on the Confederate entrenchment by Grant's army. I was Orderly Sargeant in Hedgeworth's company for about six months and was then detailed to drill troops and was engaged at that duty in Missouri, Arkansas, and Tennessee nearly three years. I have held the office of state senator from the twenty fourth district of Missouri four years, being the only member of my family who has so far been known to "misbehave" by entering the political arena. I am unable to give you any information as to the genealogy of the Yancey family. My knowledge of persons of that name is confined to the one family which has resided for some years in Lynchburg, that of Mr. William T. Yancey, a lawyer who has retired from practice by reason of age and infirm health and now lives about ten miles from Lynchburg. He has a son, Robert D Yancey, who is practicing lawyer of Lynchburg and it may be possible that he may be able to give you some information as to the history of the family. I know that Gen. R. E. Rodes, who as a native of Lynchburg, was related to Wm. T. Yancey. Though I am not certain how it was, but I think his mother was a sister of Mr. Wm. T. Yancey. You say in your letter: "Four brothers, as I have it, William, Joel, Charles and Robert immigrated to Virginia from Wales with Governor Berkeley. Joel was a Captain in the Continental Forces and was killed at the battle of Eutaw Springs, S. C." If you meant that the Joel Yancey who came over with Berkeley was killed at the battle of Eutaw Springs, then you state an impossibility. There has been but one Gov. Berkeley in Virginia, either in Colonial days or since the Revolution, and that was Sir William Berkeley who was made Governor of the Colony of Virginia in 1642. Of course he came over before that time, and the Battle of Eutaw Springs was fought in South Carolina on the 8th day of September 1781 at least 139 years after Gov. Berkeley came to Virginia. I am not informed at present as to what part of England he came from, but I feel pretty sure that he did not come from Wales. The Yancey family is a highly respectable one, though, so far as I am informed, it is not mentioned in the History of Virginia, and there are no official records of its history. We are descended from the same original stock that came from England about 1630. Lewis Davis Yancey settled in Culpeper County, VA on the same farm I now own, and occupied by the fifth and sixth generations. Dr Curry of Alabama has pronounced Wm. L. Yancey the greatest orator and stump speaker this century has produced. Lewis Davis Yancey married a Miss Kavanaugh and settled where I now reside. John Yancey settled in Rockingham County, Va and Charles Yancey traveled south and made his home, and Wm. Lowndes Yancey is evidently a descendant of this Charles Yancey, after whom I had an uncle named who lived near Trenton, Gibson Co., Tenn. There is a written history of our ancestors in existence, penned by some of my forefathers, and if it can be found among my old papers and manuscripts, I willl copy and forward it. In reply to your request of the 12th, I enclose for your examination and return to me a memorandum of such information as has come to me (some of which seems to be defective) with a chart showing the family connections as far as I have been able to secure at down from Lewis Davis Yancey. I am now inclined to believe that "Robert" - son of Joel the original, was the grandfather of Robert J., who was born in 1797 as Mr. ____ D. Yancey in his second letter refers to his great-grandfather Robert and says his wife was a Miss Duke, sister of the mother of Henry Clay. Henry Clay was born 1777, twenty years before Robert J. Yancey. You will notice there is a difference of 155 years between the landing of Joel in 1642 and the birth of Robert J in 1797. Possibly the line of descent is: Joel, original, Robert, Joel, Robert J. If you will get this tangle straightened by inquiry among the Missouri Yanceys, I will be very much obliged. The second Joel may be the one was was killed at Eutaw Springs in 1781. This tracing the different branches is a more difficult and unsatisfactory work than I expected when I began the effort. I wrote to Messrs. Robert D. Yancey, Lynchburg, VA and Joel Yancey, Greenville, MO on the 24th and 25th of October, but have had no reply. I am unable to determine from which of the original four Lewis Davis is descended. Hoping you can add to my little stock of information, I am. We are of Welsh descent, as you probably already know, being descendants of three Welsh brothers who came to this country about the beginning of the Revolution. There were in fact, four of them, one being killed at the battle of Eutaw Springs, SC. His name was Captain Leighton Yancey, and from the other three brothers the Yancey family in the United States have their origin. I have his sowrd and epauletts, which were willed from the oldest to the oldest of his descendants. The name of the four immigrants were Joel, Robert, Charles and William. I thought that the one killed at the battle of eutaw Springs, SC was names Leighton Yancey, but am satisfied by thinking the matter over that his name was Joel Yancey. I am in the possession of his sword and epaullets. I do remember to have heard my father say whether they were single men when they came to America or not. There is only one of them that I can remember to have heard say anything about his family and he was my great grandfather. His wife was a Miss Duke, a sister of the mother of Henry Clay of Ashland Kentucky. I believe that three brothers who survived the Revolution settled in Virginia first and afterwards one of them settled in Kentucky, and one in one the Southern States, but I am not certain which one Robert, my great grandfather remaining in Virginia. What offices of public trust any of the original immigrants held I am unable to say further than the one killed in South Carolina was a Captain. There was one of them, a first cousin of my grandfather, that was in the Virginia Legislature for about thirty years, was generally called "Old Charles Yancey, of Buckingham" and made himself conspicuous in breaking up a very influential family by the name of Preston, who was treasurer of the Commonwealth of Virginia, and a defaulter for a considerable amount. The younger members of the family are generally fond of politics, a good many lawyers among them, a good many have held places of public trust. A. K. Yancey, of Batesville, Kansas, may be able to give more information. I am now fifty-eight years old and consequently have forgotten many things that I have heard my parents say about our ancestors. They have been dead many years. We came to this state from Virginia in 1835, and since have known but little of our family, only meeting with one of the name occasionally. I served ten years in the M. W. Grand Lodge of A. F & A M, in St Louis, Mo. with one of them without having a chance to speak to him, he was always busy and so was I. This letter was sent to Mr. Victor Graves who had sent the writer a copy of this data. May 26th 1928. Had the pleasure yesterday of visiting Mrs. Chas Wine and read with much interest the data you have collected in regard to the Yancey family. I think you have discovered something for which I've been vainly hunting for years, viz. the original Welsh name of our family. I've always believed it was not Yancey but had been changed on reaching the U.S. N. B. my ancestor Lewis Davis Yancey told his children that the first settlers were four brothers who came over from Wales with Sir William Berkeley in 1642. Your paper shows that four Nanney brothers came over with Sir William Berkeley in 1642. Note again the name of Nanney disappears and the name of Yancey appears. NO Nanneys anywhere , Yancey everywhere in Va. and NC. town in Va. town and county in NC. Coat of arms of Nanney in possession of Yancey descendants. Strong circumstantial evidence. If I can be of any assistance in your hunt command me. Hope I have not bored you with this, made some correction on your paper in regard to my line. The following statement is from Mrs. C. H. Wine of Culpeper, VA who is a genealogist. Mr. Wm. T. Yancey age 70 or more, oldest living member of the Yancey family in Va. a man of great intelligence who has spent much time working in Yancey records is the author of the above letter. He says your evidence is the oldest and the best he has ever seen and that you are correct in that the name was formally Nanney. He also states that a man from Birmingham, Ala. wrote over to Wales and found similar data connecting the Nanney brothers with the Yancey brothers. This report by Carraway was never formally published and it evolved over time - and various different versions are extant. The Nanney arms are verified on listings of official arms - but not Yancey. For Military Records of the Yancey Family - click here. Note reference to Charles Yancey who died in 1690 - It is not known whether this was just an estimate or based on some document that is no longer extant. The Thornton connection is questionable - click here. A Genealogical & Heraldic History . 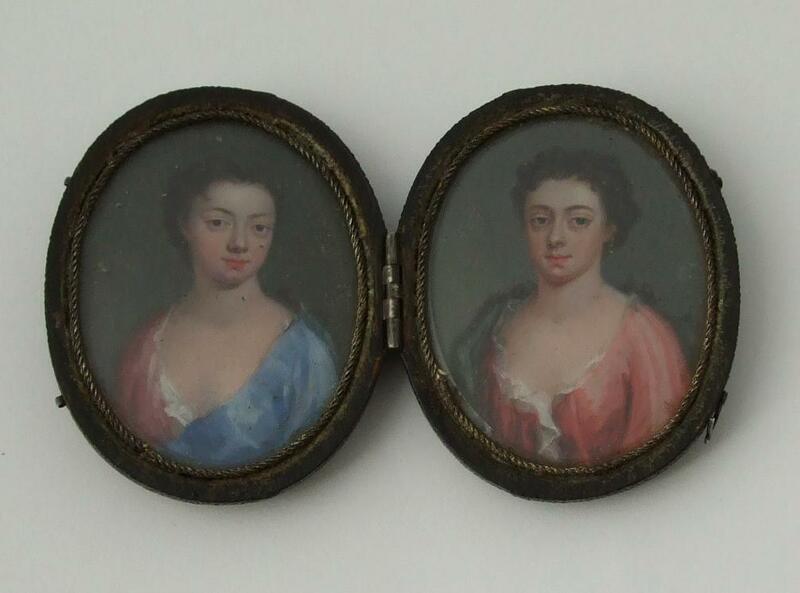 . .
Catherine and Janet Nanney were the twin daughters of Colonel Hugh Nanney (1669-1701), 17th Lord of Nannau and his wife Catherine of Cors-y-gedol (d.1733). 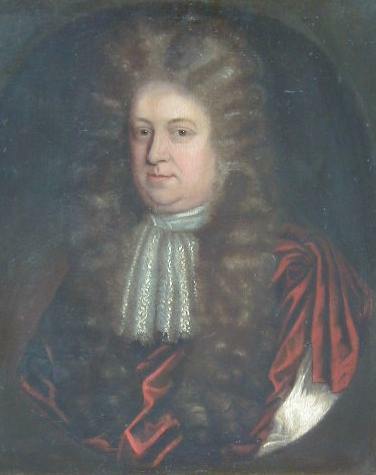 Hugh Nanney was MP for Merioneth (1695-1701), High Sheriff, Vice-Admiral of North Wales, three times Knight of the Shire and Colonel of a Regiment of Militia, which he had raised himself. Janet, the heiress to the Nannau estates married Robert Vaughan of Hengwrt in 1719 by whom she had seven children. 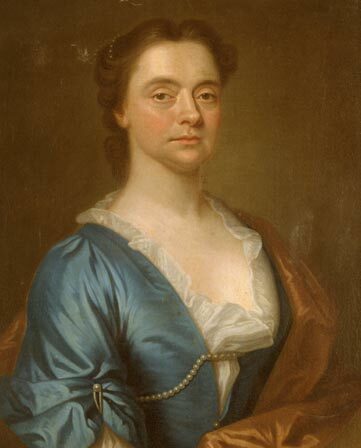 Catherine married William Vaughan (b.1707) in 1732 by whom she had one daughter, Anne. This was the last of a series of marriages between the Nanneys and Vaughans, the two most influential families in Meirioneth. A portrait by James Fellowes dated 1751 that is thought to depict Catherine is in the National Museum Wales. 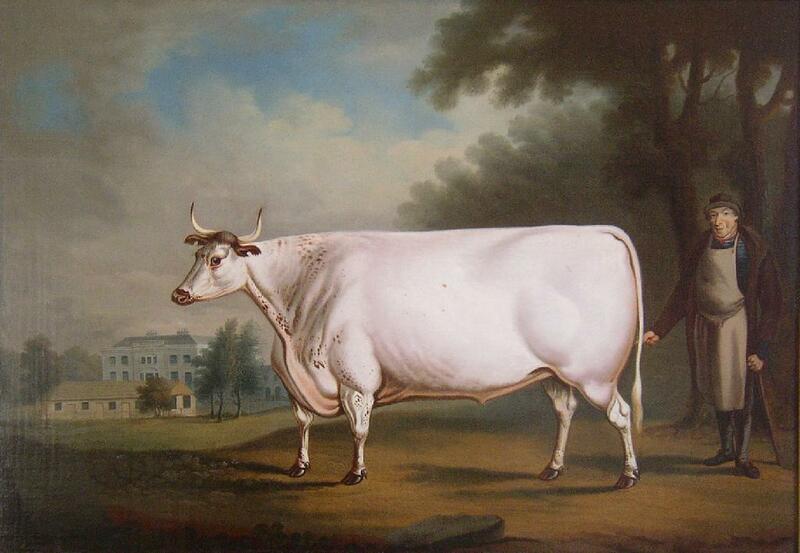 56 The White Ox of Nannau DANIEL CLOWES 1774 - 1829 - The Famous Nanney Ox, the last of the white herd of Nannau, slaughtered for the coming of age celebrations of the Vaughan heir, Robert Williames Vaughan, signed and dated, D.Clowes Pinxt 1824, inscribed, The Baron weighing 165 lb was roasted at Nannau June 25th 1824, and weight per quarter 246 lbs, 23.375 in x 33.625 in, re-lined, contained within the original ebonized moulded frame with gilt slip. The high point of the meal was the introduction of the ' baron of beef ' which was brought into the tented room by a small procession led by the old herdsman Sian Dafydd who had fed The White Ox over the proceeding months. Sian Dafydd, who's portrait is also preserved for posterity in the picture, then greeted the assembled company with the customary Welsh greeting ' Gwnewch yu llawen ' ( Make Merry ). The preparations for the feast had been going on for some weeks. A new kitchen wing had been added to the recently built mansion for the occasion, and to accommodate the large number of guests, of which 197 sat down for the dinner, a long marquee was erected in front of the main house, a feature which can be seen in the picture. Sir Robert,' Yr Hen Syr Robert ' ( Old Sir Robert ) arranged for prints of the painting to be produced, and copies of these were probably presented to the guests. The lithograph was made by Charles Hullmandel ( 1789 - 1850 ) of London, the author of a well known treatise The Art of Drawing on Stone, who produced a faithful reproduction of the original picture. The Clowes' picture is a remarkable tour de force, and a fitting monument to such a noble beast. Gordon Edington, The Clowes Family of Chester Sporting Artists - A Visit to Nannau, Pages 12-13, Grosvenor Museum, Chester, 1985. Exibited, Grosvenor Museum, Chester,1985,No. 21.Catalogue Raisonne D 25. The world of Sporting Art and The Grosvenor Museum have much for which to thank Mr Gordon Edington. It is only through his dedicated research that we have the first comprehensive study.......... ................and only by virtue of his perseverance that the exhibition was made possible. J.N.P.Watson; Animal Portraits By Father And Son - Daniel and Henry Clowes at Chester. Country Life, May 2nd, 1985. Nannau, Schedule of Contents 1958, No. 48. While most people in this country do well if they know the names of a couple of their great-grandparents, we of the Nanney name have an unusual distinction: it is a name known among genealogists as one of the oldest traceable family lines in Britain. This is due to the unique name, and to the fact that we clearly identify as one of the families of the ancient Celtic Royalty, as I will show presently. I have heard allusions that the lineage can be traced as far back as the King Arthur/Camelot episodes in the late 400's A.D., but I have seen nothing concerning the notion on paper. However, some years ago I did discover that the Catholic Priest who is generally considered to be the first British historian was a welshman who went by the name of Nennius. The name is clearly a variation of ours, as indicated in British Family Names, with the Latin "us" tacked on. He produced a work in Latin in 796 A.D. about the history of the Bretons (The Brythonic). It included accounts of the twelve final battles of Arthur, which the later writers took and romanticized. The English have alwayspoo-pooed Nennius' writings (He was a Welshman, after all!) and tried to make them out to be a bunch of bull and poppycock, but those with real and unbiased knowledge say that the Welsh and Germans preserved more of the true ancient history of Europe than any others. While we Nanneys definitely have many of the characteristics of the Welsh, I have noted that we are not basically a music-making outfit, though we do love music. However, the main element ofthe Welsh are evidently the most musical bunch on earth, loads of the most succesful singers and players in the English-speaking world -- and especially among the Nashville stars -- have Welsh names. Why are we different? It may be that we are of a different line from the key faction of the Welsh. The . . . dictionaries claim that our name linguistically is Frisian (Frieslander), not Welsh. The Frisian Islands are located in the North Sea out from Holland and Denmark. Many Frisians migrated into Britian, especially around the time of the Anglo-Saxon invasion, so our clan could possibly be of that origin anciently. In 1066 the Norman French crossed the English Channel and conquered Britain. Their influence dominated for a short time in Wales, but as it faded there emerged a small kingdom in north central Wales called Powys. It was this kingdom that our family ruled. The rulers of such kingdoms were indeed kings, but were known as "princes" and "lords". 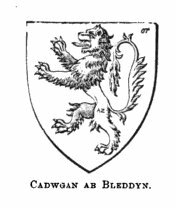 One of the rulers sometime during the 1100's was named Bleddyn (pronounced Blethin). One of his sons - probably a younger one without inheritance - was referred to as "Cadwgan ap Bledyn, Prince of Powys". Cadwgan struck out into the wild mountains near the coast northwest of Powys and founded his own estate near the present-day town of Dolgellau. He named the estate Nannau. The structure he built was often called the "stateliest house in all north Wales". (Cadwgan is pronounces "kah-DOO-gan" and the "au" on the end of names apparently varies according to different accents - maybe something like a long, drawled "O' or "I"). In 1536 the English finally, after trying for over a thousand years, succeeded in taking us over. They had nightmares trying to keep their tax books straight because the Welsh had no family names. We would identify ourselves as being the son of so-and-so, who was the son of so-and-so,who was . . . etc. In other words, I would identify myself as Wade ap Reginald ap Perminter ap Amous ap Thomas ap Shadrach. So in the 1600's the English required us to have family names. We took the name of the estate. Somehow, the -au ending and the -ey became interchangeable, so we now bear the name "Nanney". But Nannau Hall has fallen on hard times lately. Until recently it was owned by relatives of the name Vaughn, but the economic and tax situation being what it is in present-day Britain, they had to let it go. Don Nanney, a lawyer in California, tried to buy it with the intention of turning it over to Wales as a National Park, but somehow it wasn't permissable to sell to an American. Thus, it went to a development corporation, which converted it into condiminiums and a restaurant. The Nanney name shifted to this side of the Atlantic when Robert Nanney, age 22, sailed from London on the ship Increase and landed in Boston in April, 1635. He was in a group of four apprentices sponsored by a goldsmith in London. He married a daughter of the famous preacher, John Wheelwright. Wheelwright was the brother-in-law of the noted religous teacher, Anne Hutchinson. They were the key element of the early, formative Baptist movement in Massaschusetts - and got run out by the Puritans for their efforts. Robert Nanney became a wealthy shipping merchant, allied with a Hutchinson in London who may have been his uncle, and his holdings included an estate in Barbados. I don't know yet if we are descended from Robert, or from other Nanneys (perhaps his brothers) who came to Virginia about 1642. The historians among us will soon have the pieces of the puzzle complete. But the vaguest period from the Middle Ages till now is the colonial era in America. However, the family had become established in eastern Virginia in the 1700's . Shadrack Nanney came from Brunswick County, Virginia, in 1798 and settled at what is now Union Mills, North Carolina. He became the progenitor of the family in this area. 1635 - Robert Nanney came to America on the ship "Increase" in 1635 - most researchers record him as the son of one Robert Nanney - a grocer of London, England who traces his lineage back to Wales. He settled first at in Dover, New Hampshire and later in Boston and had various children. Some descendants of John Nanney of Brunswick County, VA claim descent from him - recording their John as a grandson via Samuel Nanney - but it seems this may be in error. 1731 - Martin Nanny (Nunny) - came to Virginia as a "transported convict" to Virginia apparently form England [ more details ] Once thought to be a Nanny - research would seem to indicate that the name here is not Nanny - but Nunny - and thus no connection.